One lost technology of the 1700s is the process through which the famed Stradivari violins and other stringed instruments were built. The violins, along with assorted violas, cellos, and guitars, were constructed by the Stradivari family in Italy from roughly 1650-1750. The violins were prized in their day, but they’ve since become world famous for having an unparalleled—and impossible to reproduce—sound quality. Today there are only around 600 of the instruments left, and most are worth several hundred thousand dollars. In fact, the name Stradivari has become so synonymous with quality that it has come to serve as a descriptive term for anything considered to be the best in its field. The technique for building Stradivari instruments was a family secret known only by patriarch Antonio Stradivari and his sons, Omobono and Francesco. Once they died, the process died with them, but this hasn’t stopped some from trying to reproduce it. Researchers have studied everything from fungi in the wood that was used to the unique shaping of the bodies in order to describe the famous resonance achieved by the Stradivarius collection. The leading hypothesis seems to be that the density of the particular wood used accounts for the sound. Still, some dispute the claim that the instruments are special at all. In fact, at least one study concluded that most people don’t even notice a difference in sound quality between a Stradivari violin and a modern counterpart. The sheer sophistication of the technology wielded by the ancient Greeks and Romans is often quite astonishing, especially when it came to medicine. Among other things, the Greeks were known to treat the bereaved with Nepenthe, a primitive anti-depressant that was known for its ability to “chase away sorrow.” The drug is frequently mentioned in Greek literature like Homer’s Odyssey. Some claim that it might be fictional, but others have argued that the drug was real and used widely in ancient Greece. 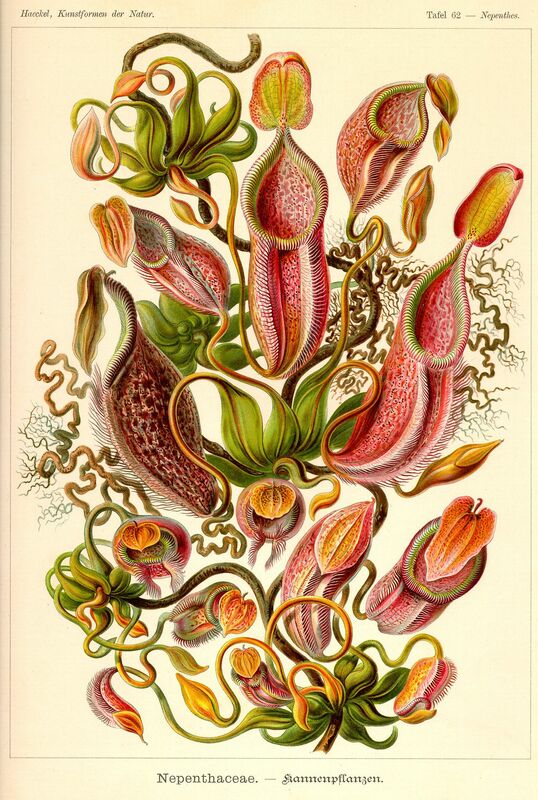 Nepenthe was said to have originated in Egypt, and its effects as “a drug of forgetfulness” have led many to compare it to opium or laudanum. Oftentimes these “lost” technologies are possibly still around today, and it’s only our inability to identify their modern equivalent that makes them mysterious. Supposing that it really did exist, this is probably the case with Nepenthe. The drug is most likely still used today, but historians are unable to pinpoint just what modern substance the Greeks were referring to. Opium is definitely the most popular choice, but other frontrunners include wormwood extract and scopolamine. The mechanism consists of a complex system of 30 wheels and plates with inscriptions relating to signs of the zodiac, months, eclipses and pan-Hellenic games. The study of the fragments suggests that this was a kind of astrolabe. The interpretation now generally accepted dates back to studies by Professor w:en:Derek de Solla Price, who was the first to suggest that the mechanism is a machine to calculate the solar and lunar calendar, that is to say, an ingenious machine to determine the time based on the movements of the sun and moon, their relationship (eclipses) and the movements of other stars and planets known at that time. Later research by the Antikythera Mechanism Research Project and scholar Michael Wright has added to and improved upon Price’s work. The sophistication and precision evident in the design of the mechanism suggests that it was not the only device of its kind, and many scientists have speculated that its use might have been widespread. Still, the existence of other devices like the Antikythera Mechanism doesn’t appear on the historical record until the 14th century, which would mean that the technology was lost for nearly 1400 years. Why or how will probably remain a mystery, especially since the mechanism still stands as the only ancient discovery of its kind. Often recognized as the world’s first electronic musical instrument, the Telharmonium was a large organ-like device that used tonewheels to creative synthetic musical notes that were then transmitted by wires to a series of loudspeakers. 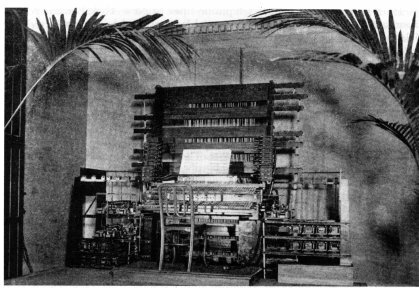 The Telharmonium was developed by the inventor Thaddeus Cahill in 1897, and at the time it was one of the biggest instruments ever built. Cahill would eventually construct three versions of it, one of which was said to weigh some 200 tons and take up enough space to fill an entire room. Its set up consisted of a collection of keyboards and foot pedals, which the user could manipulate to reproduce the sounds of other instruments, particularly woodwinds like flutes, bassoons, and clarinets. The first public exhibitions of the Telharmonium were met with great success. People came in droves to hear public performances of the primitive synthesizer, which was said to produce a clear, round sound that resembled a sine wave. Following its initial successes, Cahill developed big plans for his Telharmonium. Because of its ability to transmit a signal over telephone wires, he envisioned Telharmonium music being broadcast remotely as background sound in places like restaurants, hotels, and private homes. Unfortunately, the device proved to be too far ahead of its time. Its massive energy consumption strained early power grids, and at a price tag of a whopping $200,000, the instrument was just too pricey to build on a large scale. What’s more, early experiments in broadcasting its music over the telephone proved disastrous, as its sound would often bleed over into private phone conversations. After a while, the public’s fascination with the device waned, and the different versions of it were eventually scrapped. Today, nothing remains of the original three Telharmoniums—not even sound recordings. Although it wasn’t a technology, the legendary Library of Alexandria warrants a place on this list, if only because its destruction meant that so much of the collected knowledge of antiquity was forever lost. The library was founded in Alexandria, Egypt in roughly 300 B.C., most likely during the reign of Ptolemy Soter. It marked the first serious attempt to gather all the known information about the outside world in one place. The size of its collection is not known (though the number has been estimated to be in the neighborhood of one million scrolls), but the library undoubtedly attracted some of the great minds of its day, among them Zenodotus and Aristophones of Byzantium, both of whom spent considerable time doing scholarly work in Alexandria. The library became so important that there is even a legend that all visitors to the city would have to surrender their books upon entering so that a copy could be made for storage in the great library. The Library of Alexandria and all its contents burned sometime around the first or second century AD. Scholars are still uncertain just how the fire was started, but there are a few competing theories. The first, which is backed up by historical documents, suggests that Julius Caesar accidentally burned the library when he set fire to some of his own ships in order to block the path of an advancing enemy fleet. The fire spread to the docks and then enveloped the library. Other theories contend that the library was sacked and burned by invaders, with the Emperor Aurelian, Theodosius I, and the Arab conqueror Amr ibn al ‘Aas serving as the main contenders. However the Library of Alexandria was destroyed, there’s little doubt that many of the secrets of antiquity were lost along with it. We’ll never know for sure just what was lost, but had it remained standing, there’s an argument to be made that many of the technologies on the list would have never been lost. Damascus steel was an impossibly strong type of metal that was widely used in the Middle East from 1100-1700 AD. It is most famously associated with swords and knives. Blades forged with Damascus steel were known for their amazing strength and cutting ability, and were said to be able to slice rocks and other metals—including the blades of weaker swords—cleanly in half. The blades are believed to have been created using wootz steel, which was most likely imported from India and Sri Lanka and molded and blended to create a patterned blade. The special quality of the swords is thought to have derived from this process, which weaved together tough cementite and soft iron to form a metal that was as strong as it was flexible. The particular process for forging Damascus steel appears to have disappeared sometime around 1750 AD. The exact cause for the loss of the technique is unknown, but there are several theories. The most popular is that the supply of ores needed for the special recipe for Damascus steel started running low, and sword makers were forced to develop other techniques. Another is that the whole recipe for Damascus steel—specifically the presence of carbon nanotubes—was only discovered by accident, and that sword smiths didn’t actually know the technique by heart. Instead, they would simply forge the swords en masse, and test them to determine which met the standards of Damascus steel. Whatever the technique, Damascus steel is one technology that modern experimenters have been unable to fully reproduce. There are pattern welded knives that are marketed as being made from “Damascened steel”, but while usually well made, they are only approximations of the lost technique for real Damascus steel. Not all lost technology dates back to antiquity—sometimes it’s just become so obsolete that it’s no longer compatible. 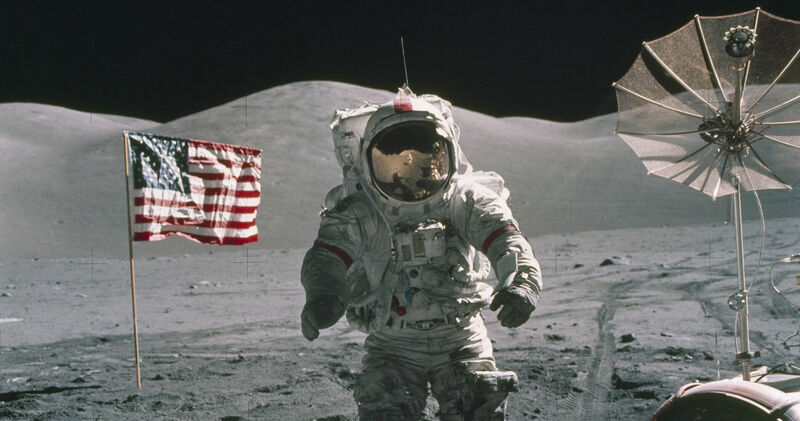 The Apollo and Gemini space programs of the 50s, 60s, and 70s were responsible for NASA’s biggest successes, including some of the first manned space flights and the first trip to the moon. Gemini, which ran from 1965-66, was responsible for the much of the early research and development into the mechanics of human space flight. Apollo, which followed shortly thereafter, was launched with the goal of landing a crew on the surface of the moon, which it succeeded in doing in July of 1969. The Apollo and Gemini programs aren’t truly lost. There are still one or two Saturn V rockets lying around, and there are plenty of parts from the spacecraft capsules still available. But just because modern scientists have the parts doesn’t mean they have the knowledge to understand how or why they worked the way they did. In fact, very few schematics or records from the original programs are still around. This lack of record keeping is a byproduct of the frenetic pace at which the American space program progressed. Because NASA was in a space race with the USSR, the planning, design, and building process of the Apollo and Gemini programs was always rushed. Not only that, but in most cases private contractors were brought in to work on every individual part of the spacecraft. Once the programs ended, these engineers—along with all their records—moved on. None of this would be a problem, but now that NASA is planning a return trip to the moon, a lot of the information about how the engineers of the 1960s made the voyages work is invaluable. Amazingly, the records remain so disorganized and incomplete that NASA has resorted to reverse engineering existing spacecraft parts that they have lying around in junkyards as a way of understanding just how the Gemini and Apollo programs managed to work so well. Lost technologies aren’t always the result of too much secrecy or poor record keeping—sometimes nature just doesn’t cooperate. This was the case with Silphium, an herbal wonder drug that the Romans used as one of the earliest forms of birth control. It was based on the fruit of a particular genus of the fennel plant, a flowering herb that only grew along a certain shoreline in modern day Libya. The heart-shaped fruit of the Silphium plant was known to be something of a cure-all, and was used to treat warts, fever, indigestion and a whole host of other ailments. But it was Silphium’s powers as a contraceptive that made it one of the most valuable substances in the Roman world, to the point that the plant appears on several different pieces of ancient Roman currency. Women would drink Silphium juice every few weeks, and this would be enough to prevent pregnancy. Using the herb would even terminate an existing pregnancy if used correctly, which would make Silphium one of the earliest methods of abortion. Silphium was one of the most sought after drugs of the ancient world, and its use spread rapidly across Europe and into Asia. But despite its remarkable effects, the particular genus of plant needed would only grow in one area along the Mediterranean in North Africa. Its scarcity, combined with an overwhelming demand, more than likely led to over harvesting, which drove the plant into extinction. Because the particular species no longer exists, modern scientists are unable to examine Silphium to see if its powers of contraception were really as effective as Roman historians and poets would lead one to believe, or if there were any adverse side effects. Still, it is worth noting that other herbs that are chemically similar to Silphium have been proven to have a fairly high rate of preventing pregnancy. Ancient Roman concrete vault in Rome. Modern concrete was developed in the 1700s, and today the simple mixture of cement, water, sand, and rocks is the most widely used building material in the world. But the recipe developed in the 18th century wasn’t the first time concrete was invented. In fact, concrete was widely used throughout antiquity by the Persians, Egyptians, Assyrians, and Romans. The Romans in particular made extensive use of concrete, and they were responsible for first perfecting the recipe by mixing burnt lime with crushed rocks and water. Their mastery of its use allowed them to build many of their most famous structures, among them the Pantheon, the Colosseum, the aqueducts, and the Roman Baths. Like so many technologies of the Greeks and Romans, the recipe for concrete was lost during the descent into the Dark Ages, but just why remains a mystery. The most popular theory is that the recipe was something of a trade secret among stonemasons, and that the method for making cement and concrete died along with those who knew it. Perhaps even more interesting than the disappearance of Roman cement are the particular qualities that separate it from more modern Portland cement, which is the most common type of cement used today. Structures built with Roman cement, like the Colosseum, have managed to weather thousands of years of punishment from the elements and remain standing, but buildings constructed with Portland cement have been known to wear down much faster. This has been theorized to be the result of different chemicals that the Romans added to their cement, among them milk and even blood. These were said to create air bubbles within the concrete that helped the material to expand and contract in the heat and cold without damaging itself. Image from an illuminated manuscript, the Madrid Skylitzes, showing Greek fire in use against the fleet of the rebel en:Thomas the Slav The caption above the left ship reads, ?????? ??????? ???????? ??? ??? ???????? ????? ?, i.e. “the fleet of the Romans setting ablaze the fleet of the enemies”. Perhaps the most famous of all lost technologies is what is known as Greek Fire, an incendiary weapon that was used by the military of the Byzantine Empire. A primitive form of napalm, Greek Fire was a kind of “sticky fire” that would continue burning even in water. The Byzantines most famously used it during the 11th century, when it was credited with helping to repel two sieges of Constantinople by Arab invaders. Greek Fire could be deployed in many different ways. In its earliest form it was poured into jars and thrown at enemies like a grenade or a Molotov cocktail. Later, giant bronze tubes were mounted on warships, and siphons were used spray the weapon at enemy vessels. There was even a kind of portable siphon that could be operated by hand in the style of a modern flamethrower. The technology behind Greek Fire certainly isn’t completely alien. After all, modern militaries have now been using similar weapons for years. Still, the closest counterpart to Greek Fire, napalm, wasn’t perfected until the early 1940s, which would mean the technology was lost for several hundred years. The weapon’s use seems to disappear after the decline of the Byzantine Empire, but just why still isn’t known. Meanwhile, the possible chemical composition of Greek Fire has been widely studied by historians and scientists. An early theory was that the mixture included a heavy dose of saltpeter, which would make it chemically similar to gunpowder. This idea has since been rejected, because saltpeter wouldn’t burn in water. Instead, modern theories propose that the weapon was more likely a cocktail of petroleum and other chemicals, possibly including quicklime, niter, or sulfur. a little research on damascus steel will show you that shotguns were made from it in the early 1800s into the 1900s.Shotgun shell boxes of modern ammo used to have warnings on them not to use in damascus barrels because they were inferior steel and may explode.Not hardly the fine steel your article claims. Nice, I just wanted to write the same thing. In my hunting class they still had some damascener stell guns to show us how they looked so we would know not to use them anymore. Damascus even today more typically refers to layered steel created for aesthetics. They are two different things. Damascus steel only works well when used in the right way, for swords. Not for looks, as in the shotguns. The layers have to be perpendicular to the force applied, and the flexibility in the other direction makes it more resistant to breakage. If not maintained, it could oxidize between the layers and weaken, causing the shotgun to fail. All it was was carbon and occasionally they got naturally formed carbon nanotubes in it. It’s called carburizing and is still a common heat treat process for lower carbon steels. It was the way they did it more than anything else that made it better. I know I’m a little late in posting a response to this great list, so it will probably never be read, never-the-less I have to say this: Nepenthe is Marijuana, case closed. DUUUUUUUUUDE You just found that technology. LOL hiding in our own ashtrays. Why is that important? It’s important when the Palin crowd wants to dismiss the Germ Theory of Disease, The Theory of Evolution, The Theory of Universal Gravitation, etc. by saying “But it’s just a theory”. I once saw an interesting blind test of violins. Several experts were blindfolded and listened to a group of violins and asked to identify which was the strad. Not one of them got it right. Thanks for the good read. What are some of the plants that are related to Silphium? All the old technologies are interested to see and it was very bad that some of them are lost now-a-days. Especially the library of Alexandria. Silphium (or Laserpicium, sometimes just called laser) did not go extinct or was not revered primarily because of it’s use as an abortifacient (in fact, the only mention of its use in this manner was by Pliny). It was used in medicine but more often it was used as the main spice in cooking. It was highly prized by top cooks and the wealthy demanded it to season their meals. The oldest known cookbook, titled Apicius after Marcus Gavius Apicius, uses laser in the majority of its recipes. It became very expensive because it was over-farmed and they were unable to cultivate it. Caesar Nero is rumored to have eaten the last known sprig of laser. Today the resin asfoetida is considered to have the closest taste to that of laser. Monster beat, what evidence do you have for this hypothesis? Moreover, what the hell does it have to do with anything in this article? If I had to guess, Khomeini was afraid of what Reagan would do and thought Carter was a wimp (right on both counts). Qadafi had to learn the hard way. I agree that many of the items on this list do not qualify as technology, but are nonetheless interesting. Michael, why do you lead in with the Germ Theory of Disease when you know as well as I do neither Palin nor any of her contemporaries deny it. I suppose you mean to make her look ridiculous, and thus equate that with questioning evolution. Questioning gravity? Sorry, never happened. I think you sandwiched evolution in there to give it greater credibility than it deserves. I have no religious objection to evolution per se, but there are just too many holes in it for me to be comfortable endorsing it as accurate. Just having an understanding of all of the changes happening on a nigh-constant basis to the classification system makes me wary of assuming relationships between organisms, alive or extinct. Assuming that any fossil (or tiny fragment of a fossil) that in any way resembles something primate is an ancestor of Man is statistically ridiculous, even if you assume evolutionary theory to be accurate. Both gravity and germs can be observed and verified under laboratory conditions. Interspecies evolution cannot. All species change a bit from generation to generation; I’m a little taller than my dad. Still, they don’t change into new species. As for sub-species, those are known as breeds or races. Yes, there are many races of men. Insisting that this is evolutionary in nature implies that some might be more advanced than others, which is how many racists justify their hatred. If, after all, sub-species become new species, and we ascended from simpler into more complex lifeforms, we assume that further evolution is an advancement. Since evolutionary scientists claim that the human species originated in Africa and that the other races evolved as groups left Africa, it would imply that Africans are less evolved. This, in my view, is racism. I cannot endorse it. Of all top ten i rate of all the Alexandria library cause it contained majority of this in his rich archives, so major of all loses is Alexandria library which many of early civilizations vanished together with its records. Only partial truth on the NASA loss of schematics and other documents surrounding the Apollo and Gemini programs. A HUGE number of documents and hand drawn schematics still existed into at least the late 1970s, but the contractor companies were having to pay to store them – I mean store huge rooms full of documents (ie, very expensive). They kept asking NASA to either move the docs somewhere or foot the bill for their storage, and NASA didn’t. Eventually they told NASA they were going to destroy them all by a particular date if nothing was done, and nothing was done, so they were destroyed. Yes, really. Dad was really ticked when they did they – everybody at Marshall Space Flight Center (and presumably the other centers as well) knew about it, but nobody had budget to convert it all to microfilm nor space to keep the originals, so they were trashed. Sad, eh? What? No mention of Tesla’s technology? yeah and what about the ancient indian technology to produce rust free iron??? Nice article, but not one mention of Nikola Tesla? Really? I wouldn’t dispute that the reputation of the Stradivarius violins is overrated – it’s hard to imagine how it wouldn’t be. But that study doesn’t preclude the assertion that the Stradivarius violins were at least somewhat better than other violins of its time or even of those made relatively recently. That’s where the unusually dense wood – a byproduct of the particular time and place in which it was made – might be a factor. The title of this video is “10 Lost Technologies”, so why are a number of things in this video not technologies (like Atlantis) or not lost (either because we know how they worked, like Damascus Steel and the Antikythera Mechanism, or because they’re mythical with no basis in fact, like Atlantis and Vimanas)?? I know I am super ridiculously late to the party, but using only Europe and the USA? Ouch. One good lost tech that we reinvented was chrome. Made in the 1930s I believe, only for us to find out China invented and lost it first 2,000 years earlier. Want to know how a lot of tech gets lost? Absentmindedness or just plain evil jerks, such as Tiberius of Rome who murdered the inventor of flexible glass so that silver and gold prices wouldn’t be undermined. Mithridate cure for poison lost in a sort of telephone game as translations kept leaving off or changing its 65 ingredient composition. You can thank the FDA for obliterating all sorts of cures and treatments and technologies via bribes, threats, or downright theft in order to remain dominant. Also gotta love family lines that take their secrets to the grave.